PS4 fanboys and girls, Sony needs your help. The next system software update is fast approaching and the maker of your favorite DualShock 4-equipped gaming console is looking for a group of beta testers to make sure it launches without a hitch. 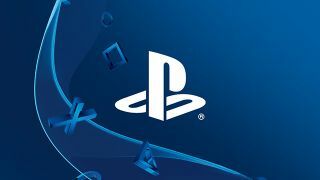 To rally the troops, Sony put out the call today on the PlayStation Blog asking interested parties to enter their PSN IDs and agree to a standard non-disclosure agreement for anything they might encounter while testing the latest batch of code. If you're up to the task, there's a sign-up page up and running. If selected, Sony said it will contact you with further details a bit closer to the system software's slated March launch. Sony has historically sounded the klaxon before large software releases. System software 2.50, which brought the much-needed suspend/resume feature, was released in March 2015 after undergoing community beta testing, and the most recent update, system software 3.0, only came to the masses after the best and brightest in the community gave it the OK in September 2015. Details on what the latest update will entail are scant, however, and we probably won't learn anything new until the first batch of testers get their foot in the door and someone inevitably spills the beans ahead of time. While you wait, check out our list of the best games on PS4!